PTFE or Polytetrafluoroethylene comprises of long-chain molecules of carbon atoms, each linked to two fluorine atoms. The fluorine atoms provide a helical spiral which surrounds the carbon chain and protects it. It is this structure which creates the unique properties for which PTFE is well-known. PTFE is renowned as the most chemically resistant material known. Only a very few, very unusual substances and conditions can affect it, like Fluorine gas at high temperature and pressure and liquid, boiling sodium metal.PTFE lined hoses can, therefore, be used for a wide variety of chemicals than any other hose type, making it the ideal choice for very corrosive chemical applications and multiproduct applications. The use of PTFE as a surface for cookware products has demonstrated to the world how easily cleanable PTFE surfaces are. This means that PTFE lined hoses can be purged 100% clean more quickly, easily and reliably than any other type of hose. The cookware application also demonstrates another of PTFE’s many attributes - temperature resistance. PTFE itself can be used as a hose liner at temperatures from -150˚C up to +260˚C, dependent upon the hose design and the application conditions. This is the widest temperature range of any rubber or plastic hose lining material. Cjan is a company committed to supplying high quality, safe and reliable Teflon tubing that meet multiple national industry standards. Cjan Teflon hoses are designed to discharge medical liquid, corrosive chemicals, hot air, hot oil, steam and so on. They are widely used in Medical Lines, Chemical Industry, Auto-related Industry, Electrical Industry and so on. 1. High chemical stability and high resistance to corrosion: PTFE Flexible Hose can handle approximately all chemicals, such as aqua regia,98% sulfuric acid, Hydrochloric Acid, 98% nitric acid, strong Oxidizing agents, reducing agents and another organic solvent. 2. Low friction coefficient: The friction coefficient of the hoses is fixed at only 0.04 and is unaffected by temperature change. 3. Good ageing resistance: PTFE Hoses are fit for the applications outdoors, and can be used for a long time. 4. Good resistance to adhesion: The materials being transported are not easily adhered to the inner tube. 5. Very High Electrical Resistance: PTFE is a highly nonpolar material with good dielectric properties, a great resistance, and a dielectric constant of about 2, which is the smallest in all electrically insulating materials. CJan- Teflon hose manufacturer provides high-quality steel braided Teflon hose. Because of excellent resistance to corrosion, our Teflon lined hoses are widely used in transporting chemical materials. The hoses can meet FDA and USP Class VI standard, they have used in medical areas also. 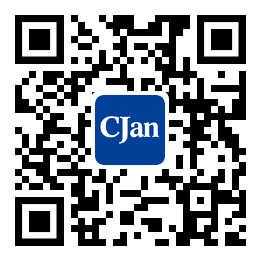 CJan prioritizes 'High Value in Price, Efficient Production Time and Excellent After-Sales Services' as our tenet.Welcome to contact us.